NASA, the U.S. space agency always remains tight-lipped about all the matters related to UFOs and Alien Visitation. But, the several UFOs that were sighted in a footage, behind the astronaut on ISS, has forced this space agency to speak up. 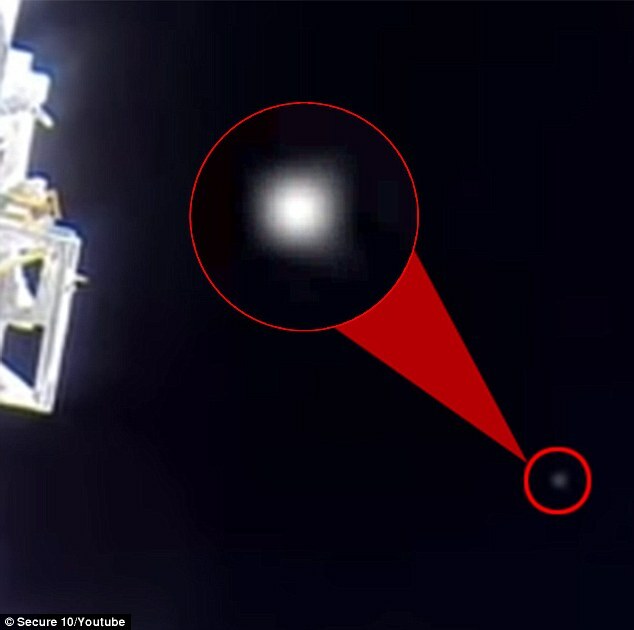 The video apparently shows several UFOs passing a window behind an astronaut on the International Space Station. The UFO hunters claimed that this video is a substantial proof of the existence of extra terrestrials. 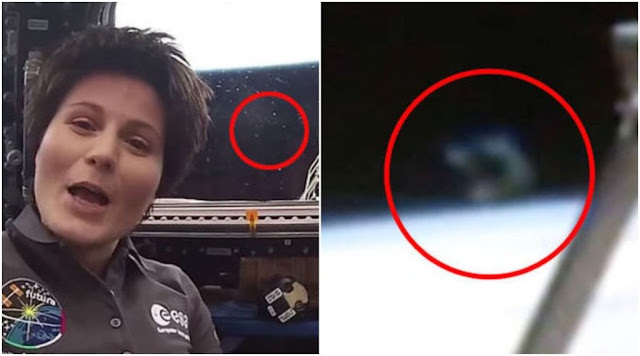 What Was There In The Video?The video that was uploaded on several UFO websites and channels, shows an Italian European Space Agency astronaut – Samantha Cristoforetti, demonstrating how to operate window shutters at the ISS. But, on a closer look, you will notice, as she talks to the camera, several white objects go flying behind. The UFO hunters claim that these white objects are nothing else than UFOs. Tyler Glockner posted the footage on March 18, 2017, to his UFO sightings YouTube channel Secure Team. Here, he explains how the white objects seem to be manoeuvred by someone. He also described one of the objects to be a ‘Smoking Gun UFO’. The channel on which this video appeared, Secureteam, claims it to be the underground research team to expose truth about extraterrestrial and UFO coverups. It has been criticised by the debunkers.Another similar attempt to hide the UFO sightings was done by the astronauts, as claimed by the Secureteam video. They claimed that exactly when there was a flashing light seen in the space, the astronaut taking the video, tried to cover it with his hands. NASA has always maintained silence over UFO and aliens. But, this time, this agency released a statement saying there were no UFOs seen from the ISS. They also added that the reflections from station windows, the spacecraft structure or lights from Earth commonly appear as artifacts in photos and videos.Last year, Tom Jones, the veteran American astronaut also dispelled the myths claiming that the astronauts have not seen any evidence of aliens and that the images from the Space Stations are nothing else than debris, ice crystals, reflections, etc. Conspiracy theorists like Scott C Waring, dismisses these claims and consider NASA and Tom Jones to be a part of the cover-up.He is quite convinced that NASA hides things related to the extraterrestrials. He believes, every blur line or hazy object in the images from Space Station could be UFO. He supposedly examines every image forensically before releasing any statement on his blog. But, for this particular video and claims made by Secureteam that the video shows UFOs in the background, Waring apparently believes that those were just ice crystals. He claims that there were several ice crystals seen in other footages as well. However, no one knows what the white flying objects were in reality.